That quantity of fruit does have you looking for some things to do other than just eat it out-of-hand. 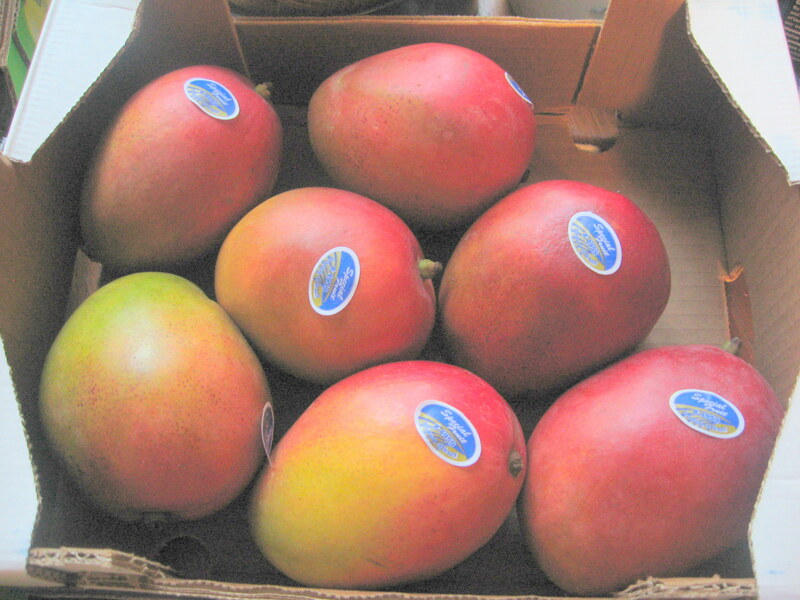 I had some mangoes that needed to be used; I had eaten lots and shared some, but I needed to eat some more! 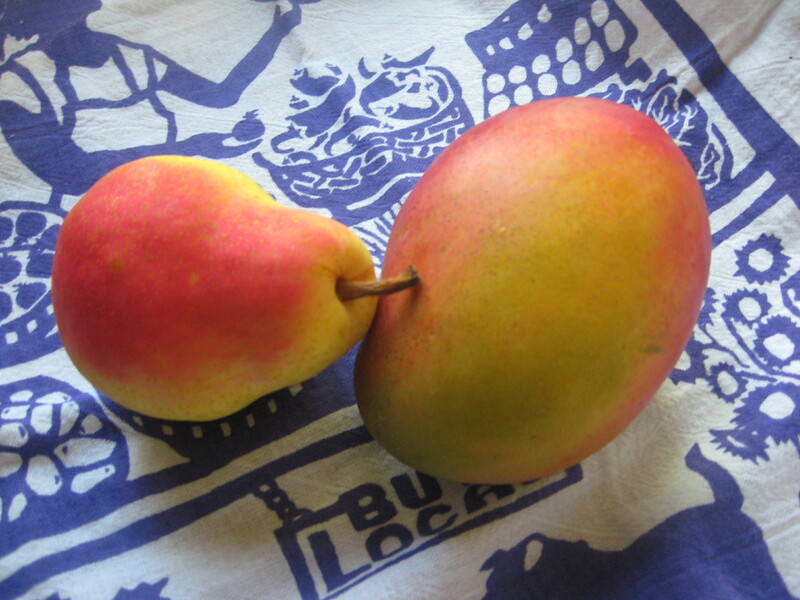 (Not that eating big, juicy, ripe mangoes is really any hardship.) Saved by inspiration that struck when I started smelling my supper cooking. I was roasting some pork (on which I’d used a dry adobo seasoning rub given to me by a friend as a birthday present)–just a single big meaty spare rib for supper. This was one that was extra from making the chili con carne--simply would not fit in the pot so it became a small pork roast for one with just a tad left over. 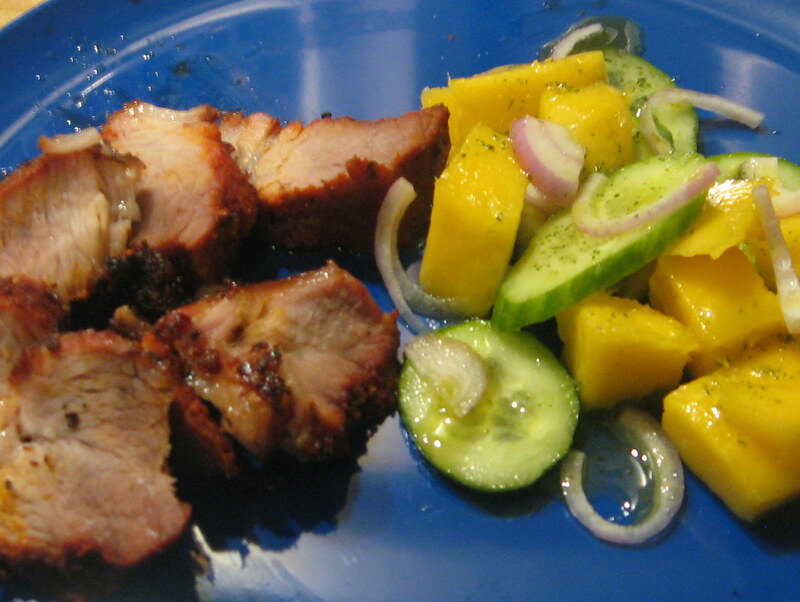 I couldn’t think what to have with it until I smelled the roasting pork with the spicy adobo seasoning, something said “sweet and cool”–I thought of mangoes and cucumbers (which were sitting right there in the refrigerator just waiting to be used). Not being particularly inspired about what to do with these two things, I headed for my laptop and Google! As I was entering the “cucumber and ma….” the instant search which I’ve enabled popped up “cucumber and mango salad”. That sounded just right with spicy roast pork. from Daily Bites blog mango and cucumber, lime, ginger, honey (or coconut nectar–something new to explore), and optional cilantro. from Eating Well which added avocado, brown sugar, rice vinegar, canola oil, and fish sauce as well as red pepper flakes. from Herbivoracious using Thai sweet chili sauce, rice vinegar, mint and cilantro leaves, and toasted sesame seeds. from My Recipes the simplest of all–cucumber, mango, lime juice and ground red pepper. from Rookie Cookie with the addition of jacima, red bell pepper, honey, rice vinegar, and chile powder. from The Full Plate Blog those basics but with champagne vinegar in the dressing, and suggestions for optional pea shoots (yum! ), and slivered almonds, with romaine lettuce. Those certainly gave a place to start for concocting for what I needed that night’s supper. Then I found recipes with suggestions for adding grilled shrimp…seems like these need to be explored much more carefully next time I’m that flush with mangoes. Since my adobo rub had given me quite a spicy seasoning for the pork, I decided that I did not want to add chile powder, or even ginger–anything at all spicy to the salad–I wanted something cool and contrasting with the spicy meat. I opted for the bare basics: cucumbers (the little baby ones), mango, shallot (no red onion in the house), and since I didn’t have fresh mint (I’ve now killed my second plant), I used frozen cilantro (from Dorot) in the dressing which was just a simple vinaigrette made with olive oil and sherry vinegar (drat–no lime or champagne vinegar) and I didn’t think that rice wine vinegar would stand up to the adobo seasoning of the pork). Even one mango and cucumber gave me some extra, so I dressed only what I was going to eat right then. 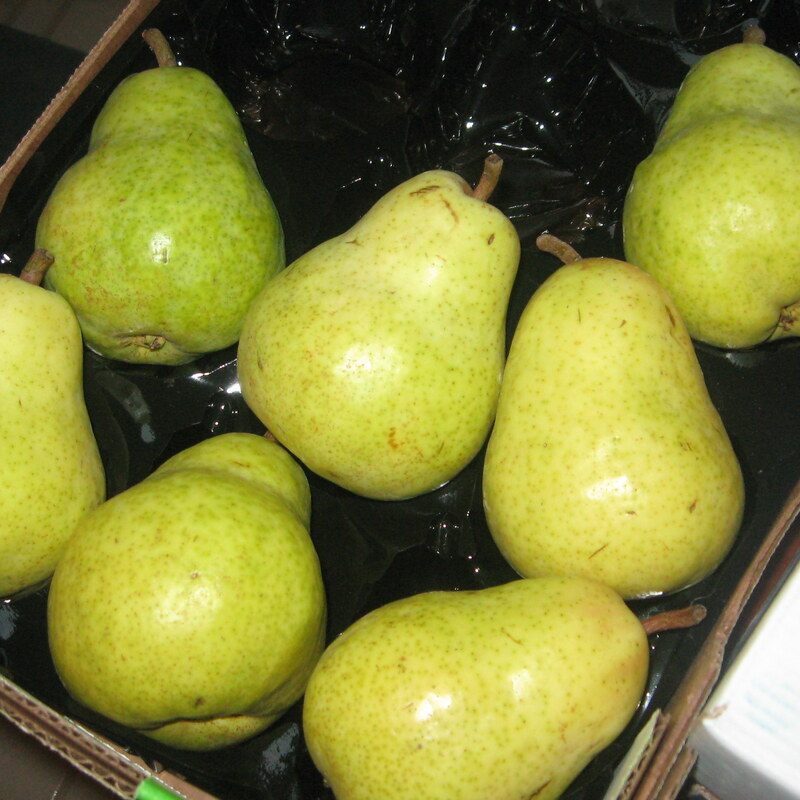 (What was left became another salad, with very thinly sliced pork right in with the fruit, and I added some of those luscious Bartlett pears to it as well–threw that over some mixed greens and it made an awesome lunch. I dressed with a fig-infused white balsamic vinaigrette since I added the pear. The combination of mango, or other sweet fruit, and cucumber is definitely one that I’ll be playing with in the future–probably with chicken, shrimp or maybe even crab, or scallops to “bulk it up” a bit for a complete meal.